Showing results for tags 'pov'. Hello AFOL's, today, i want to show you my new awsome Moc of the Imperial Light Cruiser from Star Wars Rebels. It has Parts: 2908 Lenght: 92,8cm Width: 38,4cm Height: 12,8cm Building Time: 2 Days I would be happy for feedback. Hello AFOL's, today, i want to show you my new awsome Moc of the Imperial Interdictor Cruiser from Star Wars Rebels. It has Parts: 5163 Lenght: 99,8cm Width: 51,4cm Height: 25,5cm Building Time: 4 Days I would be happy for feedback. Bricklink won't give me a POV of a set! Problem solved! Hello ABS junkies! So I've been eyeing the pirate chess set to part out on Bricklink, but when I searched for the part-out-value of the set on Bricklink, I got "set number not found in catalog" What? It definitely is in the catalog though! I found a link that gets me there, so what is the problem? 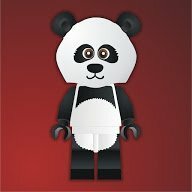 http://www.bricklink...on=N&incInstr=Y Thanks in advance! The video is nothing fancy, I need to get more creative now.